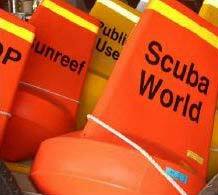 We are one of the reliable names engaged in providing the best Area Marker Buoys. These Area Marker Buoys are made using UV stabilized polyethylene. UV stabilized polyethylene are filled with PU foam for great buoyancy. Owing to these attributes, Area Marker Buoys can be used for creating restriction area in the sea. Color - Internationally accepted Red, Yellow, Green and White.